You may think Europeans are more sophisticated than you Americans, meeting our beautiful partners with cheese-slicer cheekbones to sip cappuccinos in an elegant cafe before jumping on a Vespa back to our Georgian townhouses. Well, it turns out that when it comes to utility customer psychology, we are pretty much the same as our root beer swilling, cowboy boot wearing, deep-fried-bacon-with-everything eating cousins in the US of A. There are some pertinent universal truths for the utility industry. Customers don’t like you. It’s true. They feel powerless against the mighty utility which almost always holds the whip hand: they decide the price and customers have to stump up. They feel they have no real choice about this; it’s certainly true this is an industry whose participants offer, at base, undifferentiated products. There are no premium electrons or value-range CH4 molecules. In simple terms, customer behavior in different nations boils down to the level of energy liberalization/deregulation, market mechanisms and how smart are the utilities. In those countries with state-run command and control energy systems, customer behavior simply doesn’t matter as long as supply meets demand. In sub-Saharan Africa or South Asia, rolling blackouts are often part of everyday life. Most customers in Europe, however, do not even think about energy because it is omnipotent and because it is not expensive enough to really worry about. In many cases, the command-and-control way of thinking refuses to die, even in nations quite far down the smart track. In North America, utilities are able to create an entire framework for smart grid because they more or less control the entire chain. This means customers are pulled into smart grid on their terms. In Europe, there is much more potential for an open market, as utilities are more fragmented and they are innovating to compete to have the most attractive offering. This innovation is leading to a change in consumer psychology. Established thinking says that customers want predictable, flat prices. According to Dr Philip Lewis, who has directly researched over 1 million customers worldwide as CEO of VaasaETT, this remains the case, but is becoming increasingly nuanced. The question is what the customer means by predictability? Often that means fixed-term price contracts, but smart grid means more innovative, variable contracts are increasingly popular. “The old wisdom that customers want predictable pricing is changing,” said Lewis. “What they actually want is a predictably good deal, even if that means volatility. It’s rather like mortgages, you have fixed-rate or variable-rate, and you pick and choose depending on which way the wind is blowing. Conventional wisdom that customers save money through competition, i.e. switching supplier, is also changing. Despite also experiencing sustained, inflation-busting energy price rises, no market has experienced a more dramatic decline in customer activity than Britain, once the most active market in the world. VaasaETT figures show Britain has fallen from first to twelfth in eight years and from a rate of 21 percent switching per annum to just 11.5 percent in seven years. Shoddy practice, such as mis-sold tariffs and (now outlawed) aggressive door-stop sales, as well as the deliberate complexity and variety of tariffs has bewildered and alienated consumers. Ultimately, said Lewis, customers want to feel on equal terms with their energy supplier. This is easier said than done, but smart grid technology offers utilities to change customer psychology away from distrust and dislike. Fundamental to any behavior change is education of the customer. Automation alone is not enough. Customers who participate in automation without education are actually less likely to save energy at off-peak times than if they had no automation at all because they believe automation is doing it all more them, says Lewis. Reduction at peak hours is 40 percent more effective when participants are provided with feedback. Customers want to feel in control and they have to feel rewards through their own direct experimentation. Feedback is vital, but it need not be complex. Devices like the simple rate clock fridge magnets trialed in Ireland are good for time-of-use tariffs. If a smart meter display unit shows the change in tariff and the current cost of consumption, there is an immediate feedback loop. 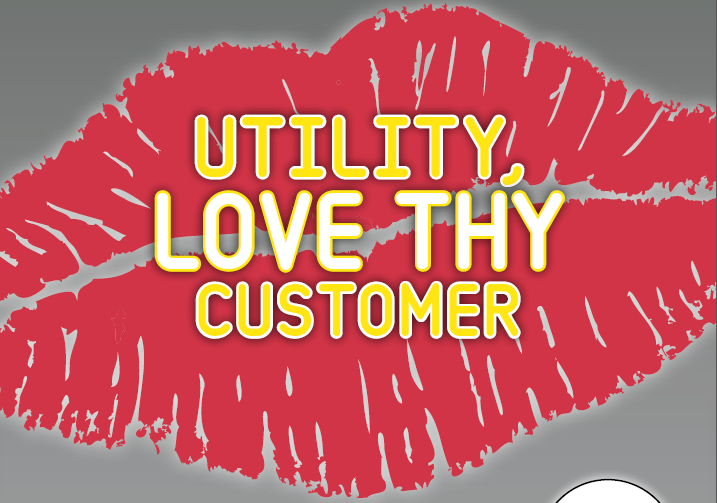 In the longer term, utilities will need to show some ankle if customer psychology is to be transformed from borderline hate to love. Ben van Gils, Ernst & Young’s global leader for power and utilities, said it’s not about products, it’s about the relationship. “In our experience, utilities tend to think they are not successful because they haven’t introduced the right product. In reality, the negative perceptions that consumers have of energy providers has resulted in limited permission for energy providers to stretch into new products and services. “This lack of permission creates a huge obstacle for utilities, and minimizes the chances that any product, regardless of how good it is, will be taken up by customers. The quality of consumers’ experience with utilities must be improved before the relationship can stretch any further. Essentially, consumers want a voice; they want to be listened to and treated as an individual. Brands and companies that can offer this are the ones that earn their trust and loyalty,” he added. So there you have it: Customers need to feel the love wherever they may be. Posted in Policy & Regulation, Smart GridBookmark the permalink.